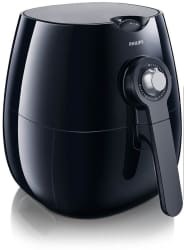 As one of its daily deals, Best Buy offers the Philips Viva AirFryer for $79.99 with free shipping. That's $20 less than our mention from Black Friday week and the best deal we've seen. (It's the lowest price today by $120.) Features include a 28-oz. stainless steel frying basket, manual temperature control up to 390°F, and 30-minute timer. Deal ends today.